Learn about how you personally connect to spirit while using this ancient divination tool. Enjoy hands on practice giving and receiving intuitive messages using a variety of oracle decks. Beginners to advanced readers welcome and you can bring your own decks to practice with or we'll have a wide variety for you to sample! Christina Courtney is an Alignment Coach, energy healer and Intuitive Artist who helps people who are ready for transformation, evolve past their own limiting beliefs, remove blocks and align with their authentic selves, so that they can live the blissful life they were meant to live. Bonnie Minnis is a clairsentient empath. She is a spiritual channel, Alchemical Healer, breath work facilitator, Earth Magic & Reiki practitioner, intuitive and card reader. As a shamanic practitioner, she is able to help you find your spirit animal allies. She works with her guides, power animals and your higher self to bring through clear messages. Some of the tools Bonnie uses to channel spirit are: drums and rattles, essential oils, crystals, and her favorite… a deck of oracle cards. Together Christina and Bonnie are co-founders of Dream Maker Retreats and Workshops. 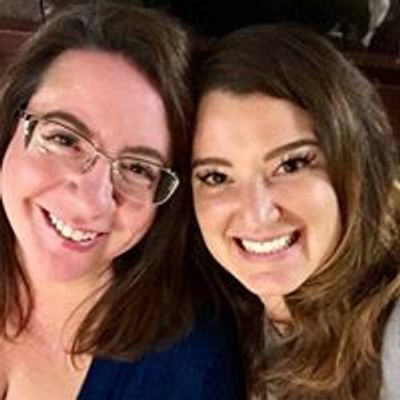 This dynamic duo offers curriculum designed to enhance your spiritual growth and evolution through supportive guidance, cultivation of new skills, practice, love and lots of support. They host twice monthly “Workshop Wednesdays” in southern CA, run retreats at exciting destination locations and offer their services at your next fun event or ceremony.